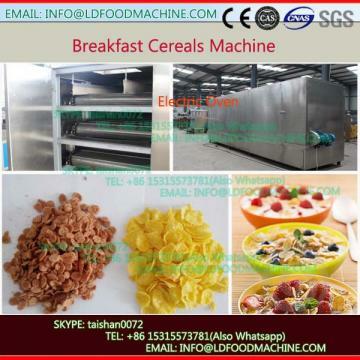 New puffed breakfast cerels food machinery cantake corn, rice, wheat, oat, rye and other grains as materials to produce extruded snacks, with crisp taste and lively shape, Inflating food machinery is desityed according to market demand.We can get different shapes: round, triangle, square, stars, flower, etc. This processing line from feeding, extruding, shaping ,cutting,oil LDing to finished products are done once time automatically. Visible auto-temperature controlling system, make the temperature-controlling to be more direct-viewing, parameter to be more precise. 4. It adopts speedadjusted converter on feeding system, extrusion system and cutting system. 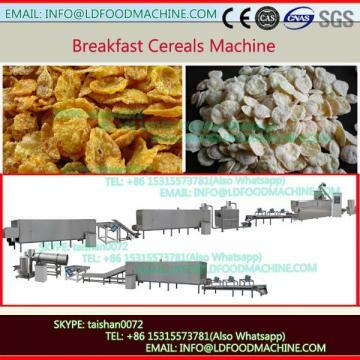 Food grade stainless steel twin screw feeding machinery guarantees stable materials feeding in the whole food process.